My first show – local debut! Here is a picture of my display at my first show! 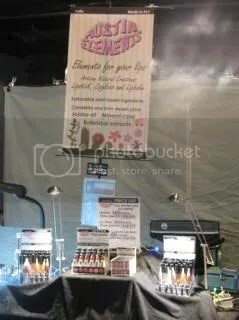 On display are the lipstick, lipstick balm and lip gloss. Response was positive, was nice to have the opportunity to meet with customers and get feedback from them. My fellow vendors were very supportive and helpful too, I learned a lot watching and talking to them. Oh it looks amazing! Congratulations! 😀 I am working towards getting completely unpacked and getting my head back into my business and my blog. I miss seeing all the goodies and posting too!